This cozy 2 bedroom, 3 bathroom condo offers an open floor concept with a maintenance free lifestyle! This lovely 1,057 square foot home offers a large family room with laminate hardwood flooring throughout main level. Master bedroom offers its own patio door to a lovely private covered outdoor balcony. W/D hook-ups for full sized side-by-side washer and dryer. Enjoy the perks of the HOA covering almost everything! HOA covers community pool, exterior maintenance w/roof and grounds, water, sewer, trash and snow removal. Underground garage parking; includes a reserved parking space and storage locker for your unit. Jefferson County School district! 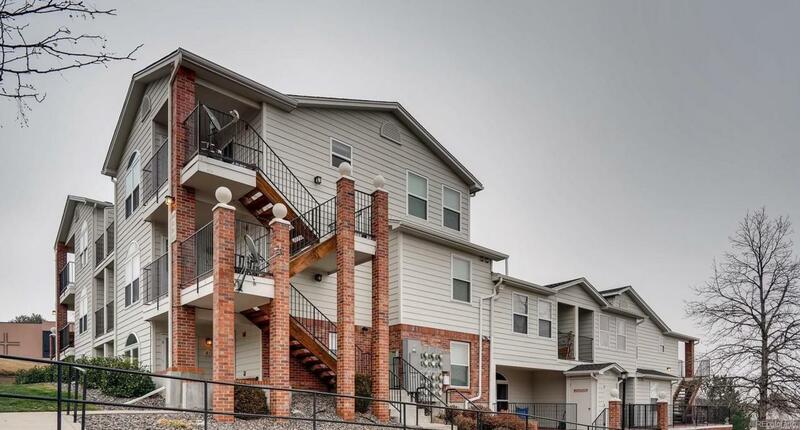 Close to walking/biking trails, Bear Creek Lake Park, Red Rocks Amphitheater, public transit, shopping, dining, and more! This charming condo wont be available for long!